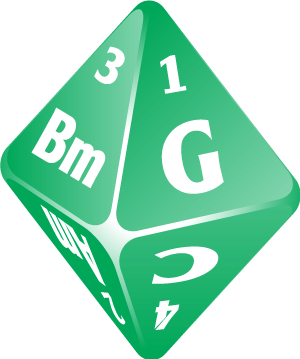 Roll the dice right out of the tube! The number tells you the scale step on which the chord is built. 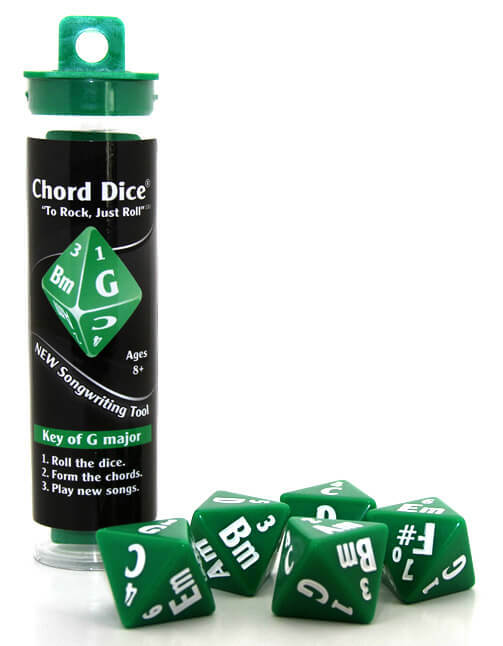 The letter tells you the name of the chord to play. A lowercase 'm' next to a letter, like Bm, tells you to play B minor.